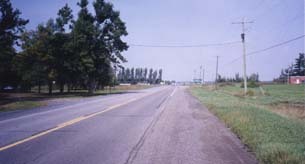 This is a view of Glen Gordon Station, on highway 34 looking north, on right is 3rd concession of Lancaster township centre of photo . The Railway tracks are now gone. On left side centre of photo just north of the tracks is the 2nd concession NSRR Charlottenburgh township. The Mossasin train passed here on a regular basis at one time. The red brick building center right is where the station was, thus the locatiopn of Glen Gordon Station. 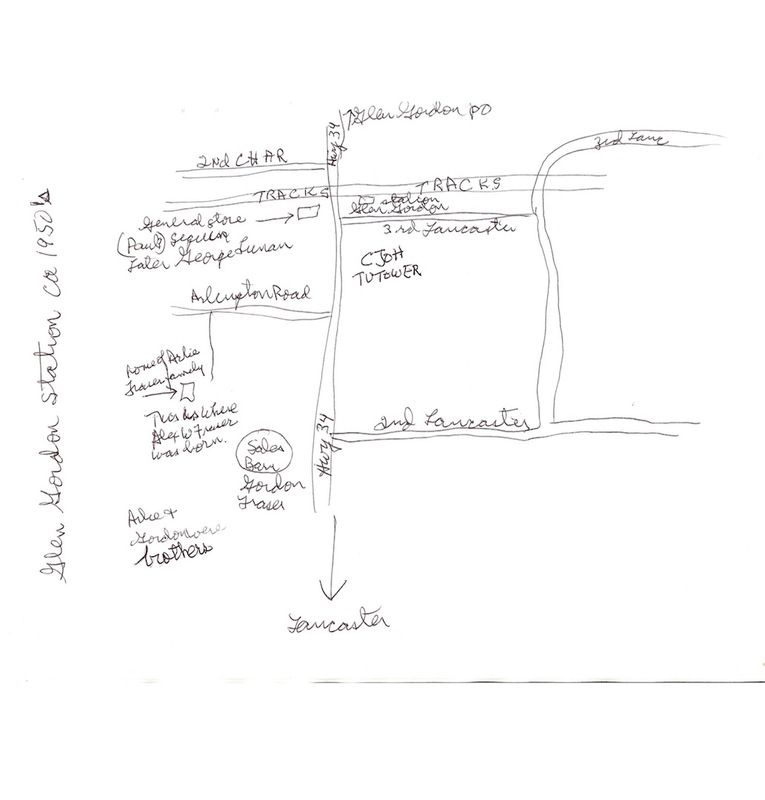 It is true that this area is now known mainly as Glen Gordon, nevertheless before that it was also known as Glen Gordon Station to distinguish it from Glen Gordon [Glen Gordon P.O] about a mile north at the junction of Highway 34 & the 4th Lancaster. To the immediate right, across highway 34 but not shown is the CJOH TV tower of about 750 feet in height.